Next door to the Hall is the Lord's Chamber which was the private quarters of the Lord. It would have contained the best furnishings and fabrics including the Lord's bed. It also had a large window, a fireplace on one end wall and a "built-in" cupboard in the other. There was a cellar underneath as you can see from the beam holes and one of the mysterious "pits", thought to have perhaps been tower bases from the original 11th century castle. There was a private staircase from the window bay to the Wall walk. 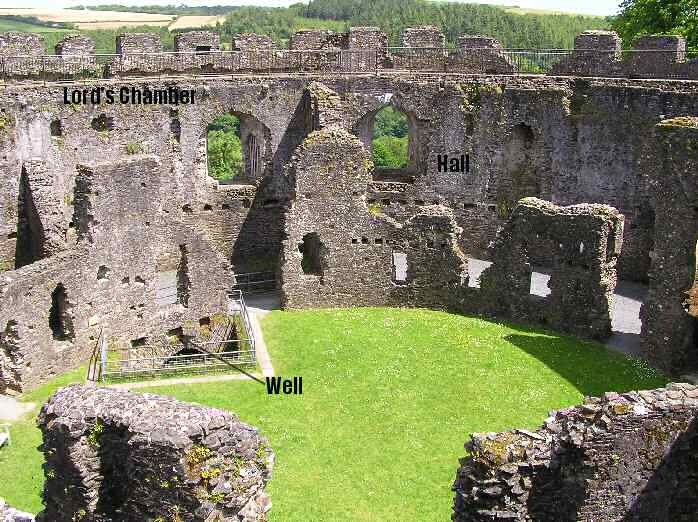 Outside was the castle's well, originally dug in the 11th century and supplemented in the rebuilding of the 13th century by a piped water supply from outside the castle leading to each of the major rooms - very luxurious for a medieval castle!